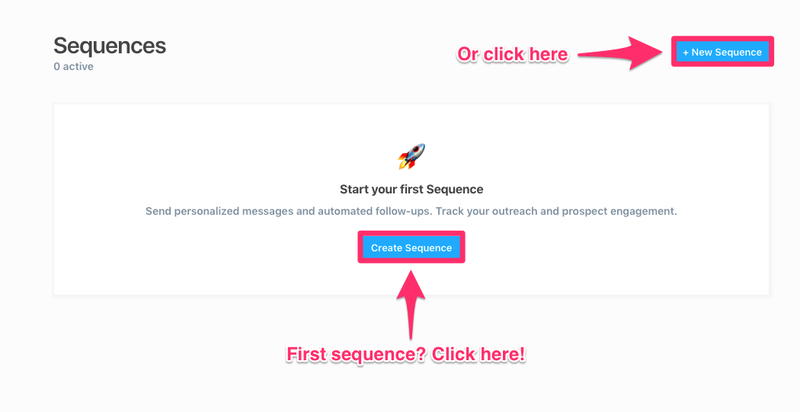 With Sequences, you can reach and engage prospects more effectively by sending a series of automated outreach and follow-up emails. Sequences are multi-stage email campaigns that can be sent to many recipients - either at once, or over a longer period of time. 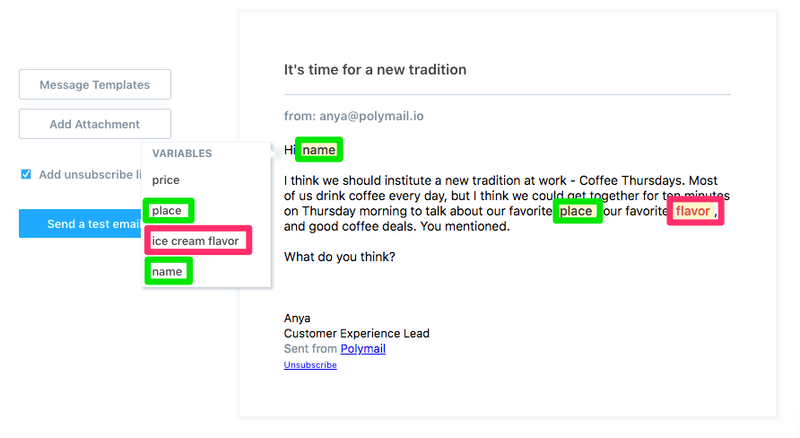 Similar to a mail merge, Sequences can be personalized for each recipient using variables, and each recipient will receive a unique copy of the message. 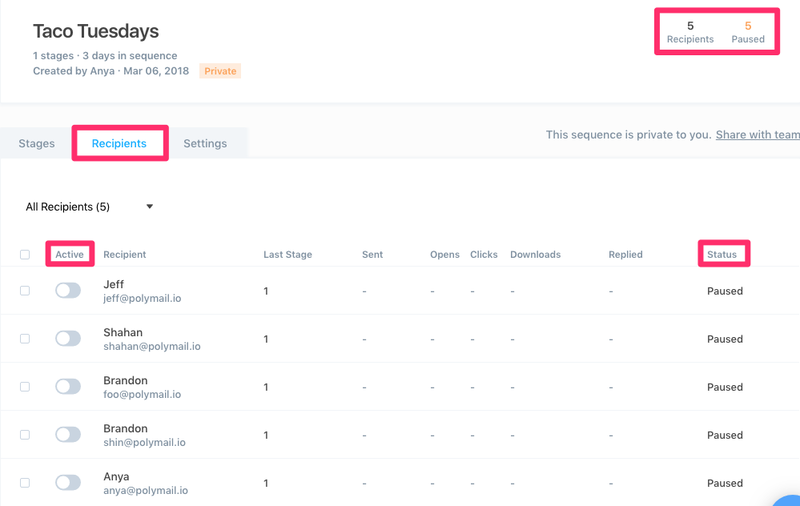 If you're a Premium or Enterprise user, you can send unlimited sequences with up to 20 stages each. You will find Sequences in Polymail Web and our Mac app by clicking the Sequences Icon in the Bottom Menu Bar. Sequences is not currently available in our or iOS apps. 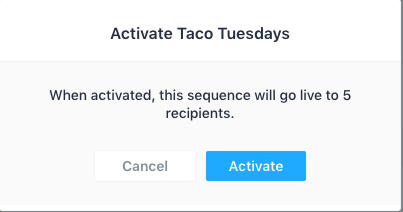 Once your Sequence has a name, you can go ahead and add recipients and custom variables to it by clicking the blue + Add Recipients button in the top right corner of the Sequence page. 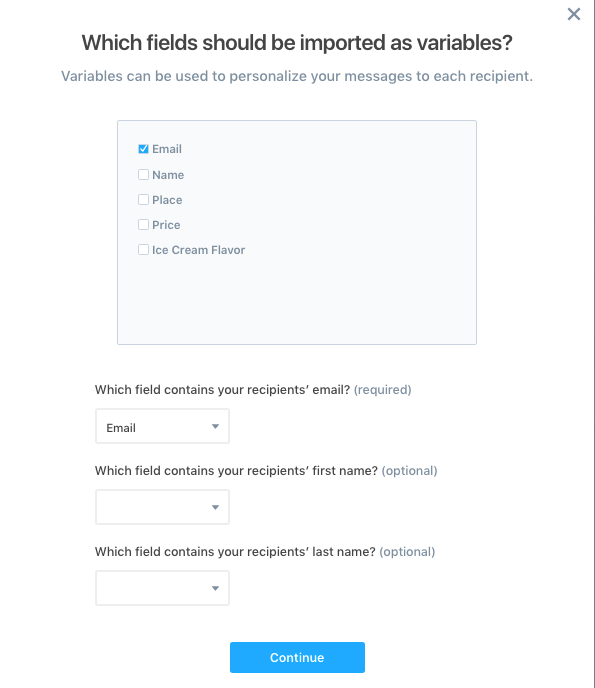 You can add recipients a number of ways. If you're a Premium user, you can use CSVs or manually add recipients individually (or a combination of the two). 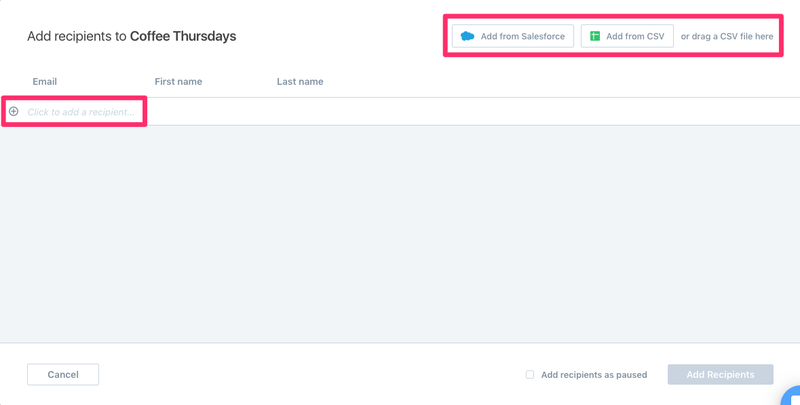 If you're an Enterprise user, you can add recipients through our Salesforce integration as well! 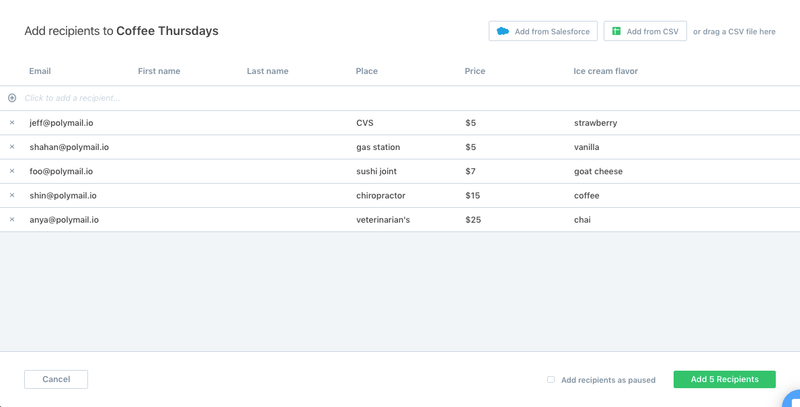 To add custom variables to your Sequence, you will either upload them in your CSV or you'll use the Add from Salesforce option. For tips on variables in CSVs, click here. 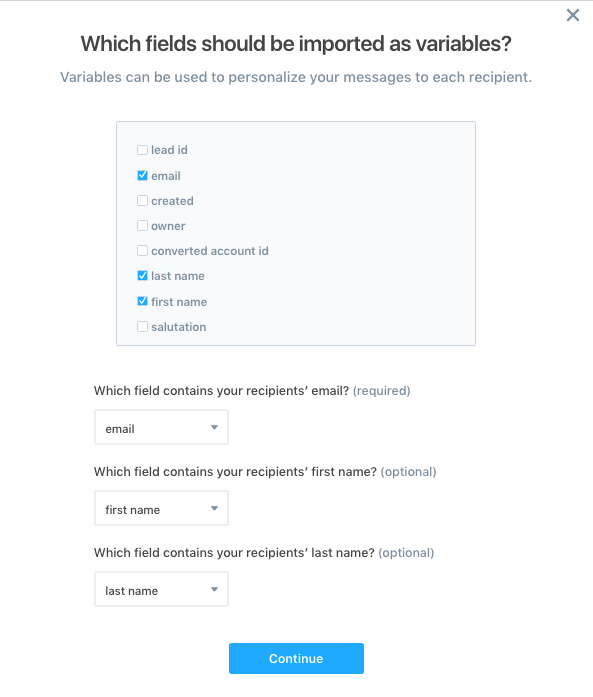 To add recipients individually, simply click the + Click to add a recipient field. You'll enter their email address, first, and last name. Note: Your Sequence will not have variables available if you only add recipients individually and you do not use a CSV. If you want to add your recipients through a CSV, you can either click the "Add from CSV" button, which will launch a file picker window. Alternatively, you can drag a CSV to the Add Recipients window to upload it that way. CSVs must be separated by commas rather than semi-colons. You can now click into any row to manually edit these fields and fill in blank variables like First Name and Last Name above. If there is a conflict with any of your recipients (e.g. they have unsubscribed from your messages), you will see a small warning sign next to their name. You can hover over the sign to get more info. 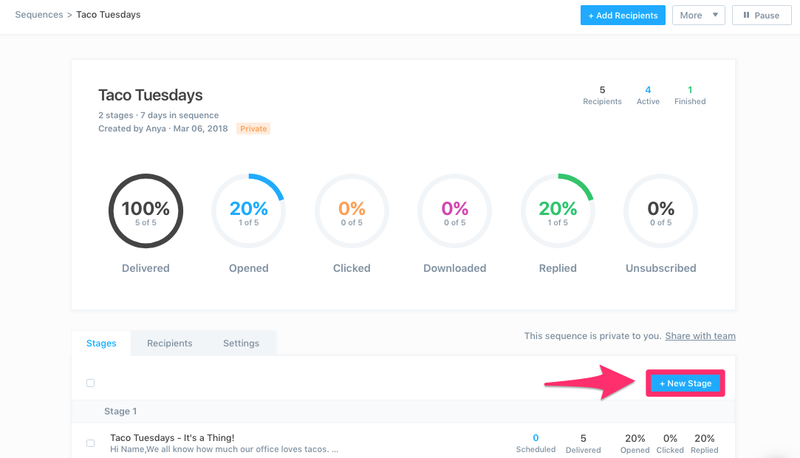 Once you're finished making any edits, you have the choice to add your recipients as paused (so they will need to be manually un-paused to receive your Sequence). Click "Add (number here) Recipients" in green to finish adding your recipients to your Sequence. 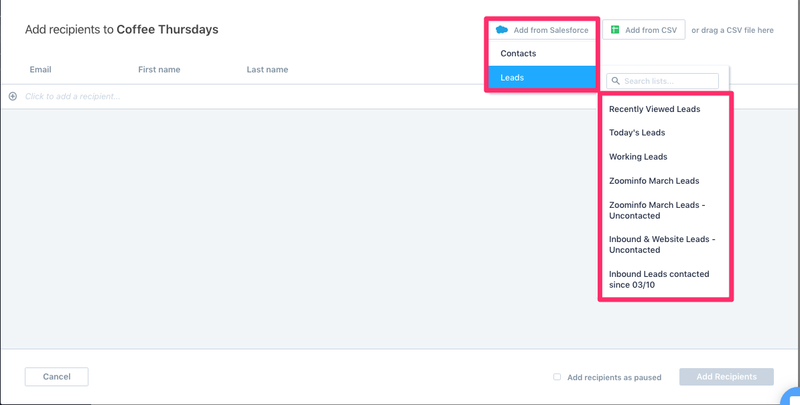 You can add new recipients at any time, even after your first batch of recipients have received your stage. 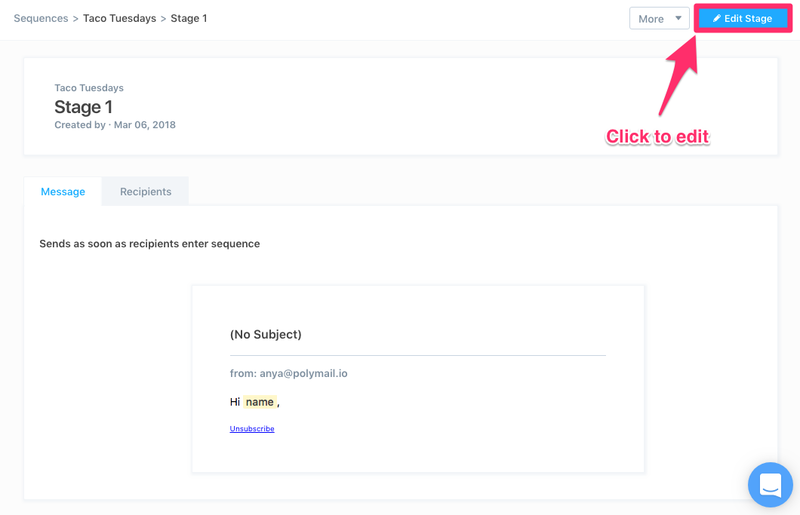 Now that you have recipients, you can create your Sequence Stages. Each Stage is an email sent to a recipient. 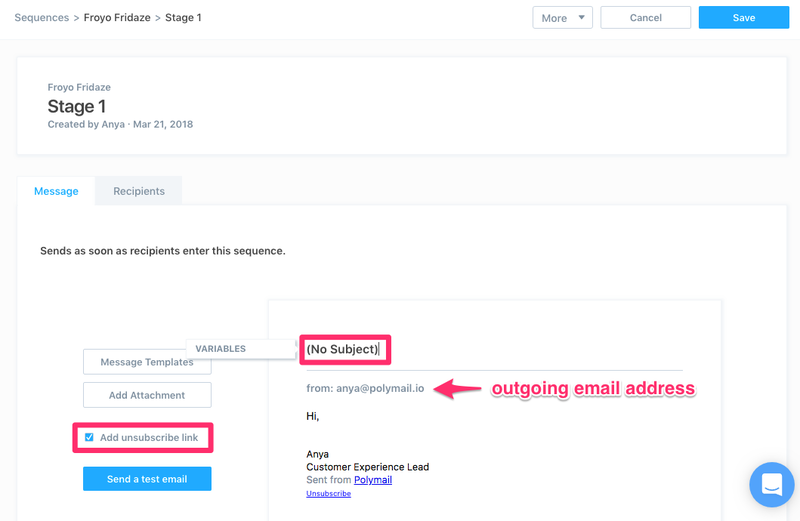 All of your recipients will start at Stage 1 and receive your Stage 1 email. If your recipient responds, they will complete your Sequence and will not receive subsequent stages of your Sequence. You can add up to 20 Stages per Sequence. Here you will give your Stage a subject, which will be the subject of the email your recipients receive, and you will compose your message. You can also add an Unsubscribe link at the bottom of your message. 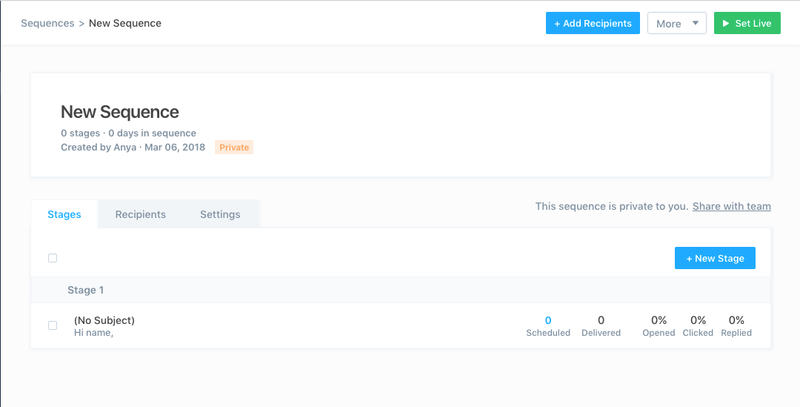 This will allow your recipients to opt out of future messages in all Sequences sent by you and your team. 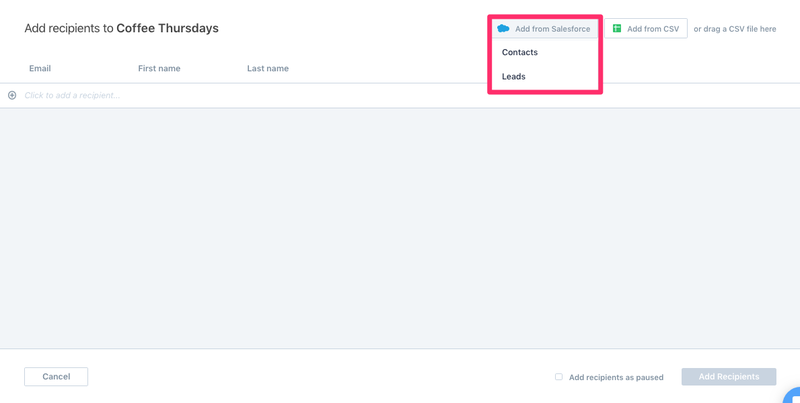 If you have added your recipients through a CSV or Salesforce, you can use your variables in your message by clicking the "Variables" button that appears on the left edge of your message. Your variable will be inserted into your message body in yellow - our system will automatically populate that in the sending process. A list of your existing templates will pop up and you can select which you would like in your Stage. We will check your Template placeholders to match them with your Sequence variables uploaded through Salesforce or your CSV. If your placeholders and variables match, the placeholder text will be black. If they don't match, the text will be red. In the the screenshot below, I've boxed the conflicting placeholder in pink. 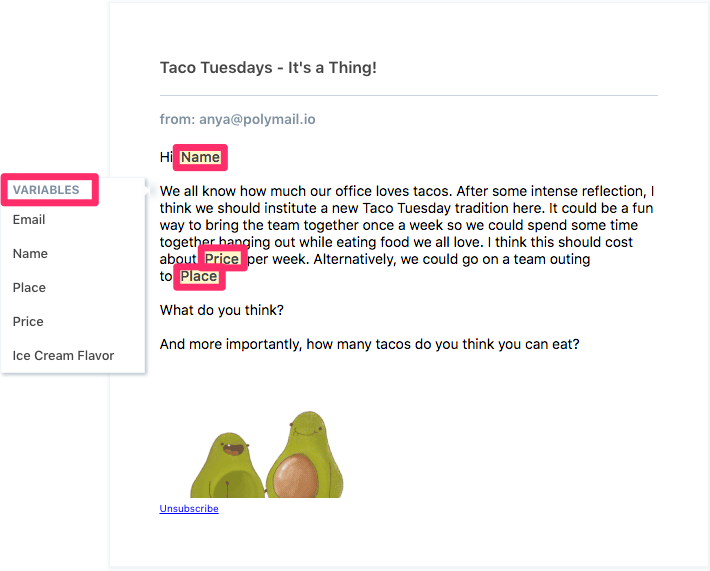 The placeholder in my template is for "flavor," whereas my variable in my CSV is "ice cream flavor" - they do not match. My placeholders "name" and "place" do match my CSV variables and are boxed in green. We won't let you save your stage if your placeholders and variables are mismatched - you will need to resolve any conflicts by replacing the placeholder with a variable from your variable list or removing it altogether. 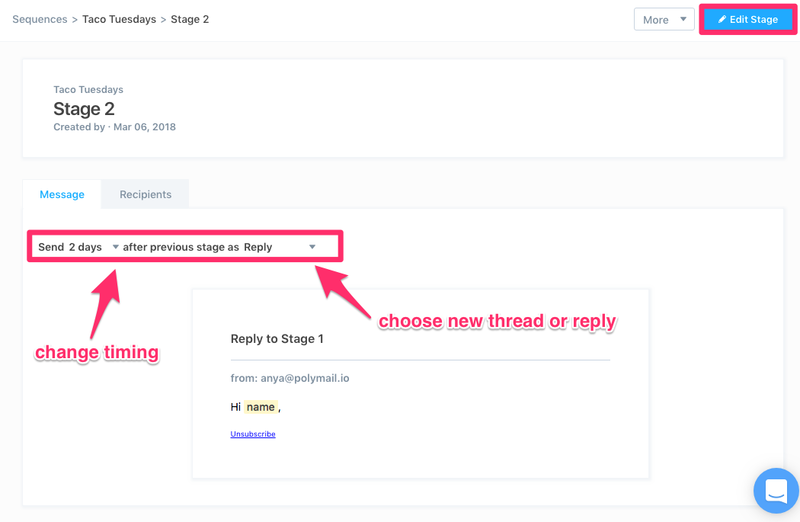 Once you've finished composing your Stage, you can send yourself a test email by clicking the blue "Send a test email" to the left of the Stage body. Click the blue "Save" button in the top right corner. We'll ask you to confirm that you want to make your changes if your Sequence is live. We will only send your Sequence to recipients who are active. If you decided to add your recipients as paused, you will need to un-pause them by clicking the toggle to the left of their name. You will see their status change from "Paused" to "Active." 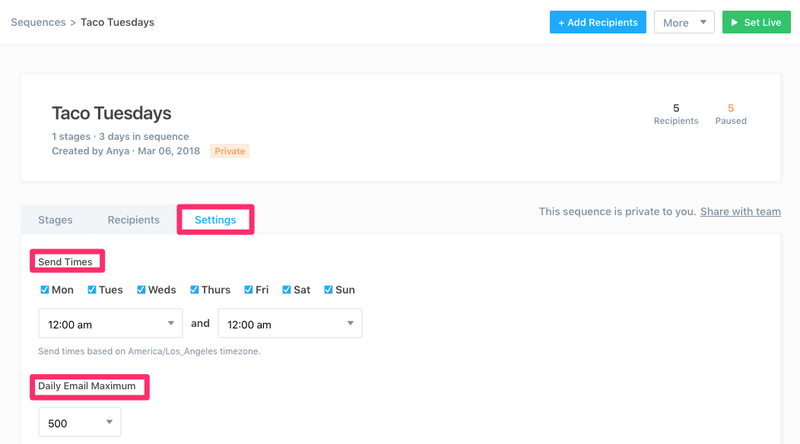 In Settings, you will be able to select which days you want your Sequence sent and at which times. You can choose your own range, so if you want your messages sent out only in the mornings (for example,) you can specify 6:00 am - 10:00 am. We will send your Sequence at the earliest available time in the time range you appoint. This can fluctuate a bit, though, since we spread out the sending process to avoid rate limit errors from your email provider. The time range guarantees that your email won't go out before your range begins or after your range ends. You can also set a Daily Email Maximum for your Sequence. All email providers have their own rate limits that dictate how many messages you can send in a specific period of time. If you exceed that limit, your provider can throttle your account, which means that your emails will not be delivered. You could also lose other email functionality. Click here for more on email provider rate limits. We will send your first Stage to all un-paused recipients according to the schedule you set up in your Sequence Settings. You will click into the new Stage you see to create it and edit the details. Once a recipient responds to one of your Stages, we will mark them as "Complete." They will not receive further Stages in that Sequence. Your recipient can fall under 6 possible statuses: 1. Active, 2. Paused, 3. Complete, 4. Bounced, 5. Failed, 6. Unsubscribed. 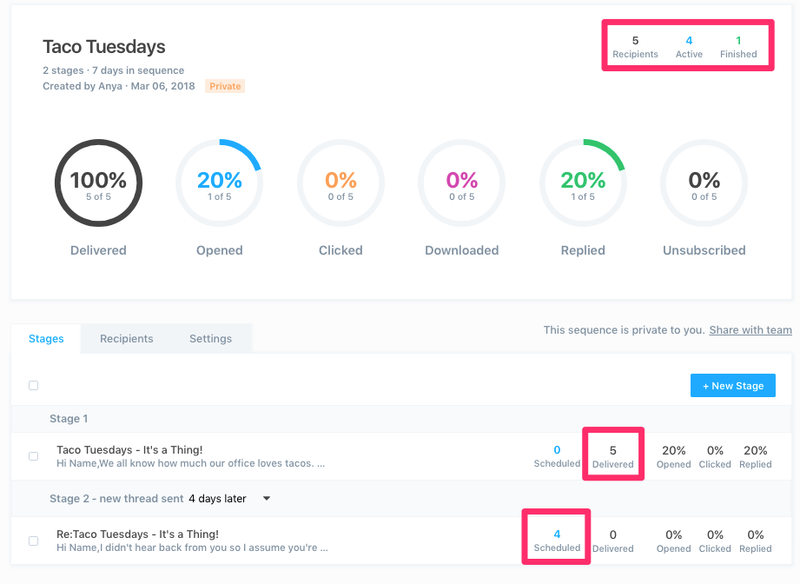 Clicked and Downloaded metrics refer to the percentage of recipients who clicked on links embedded in your email or downloaded files attached to it.